Autumn Hill Farm’s homebred yearling filly Fontyn (Fred Astair-SPS Malena/Maurice) hitched a ride to Devon with her Hilltop Handlers in September. 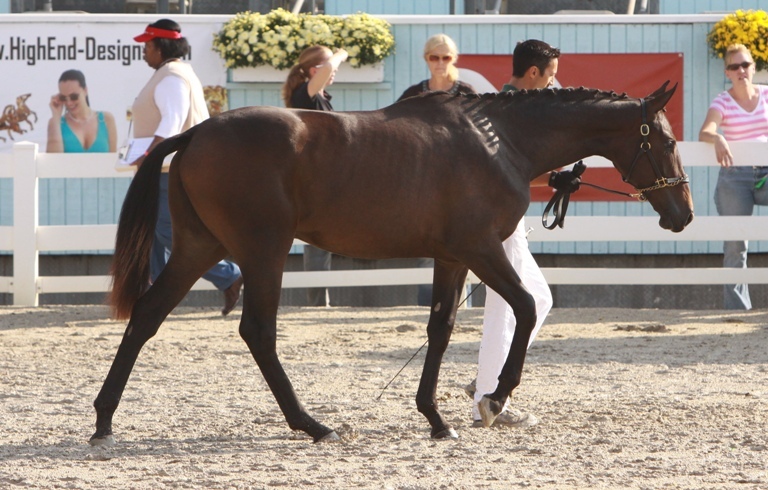 This was the second show for this precocious little girl, and she was a perfect lady all week. 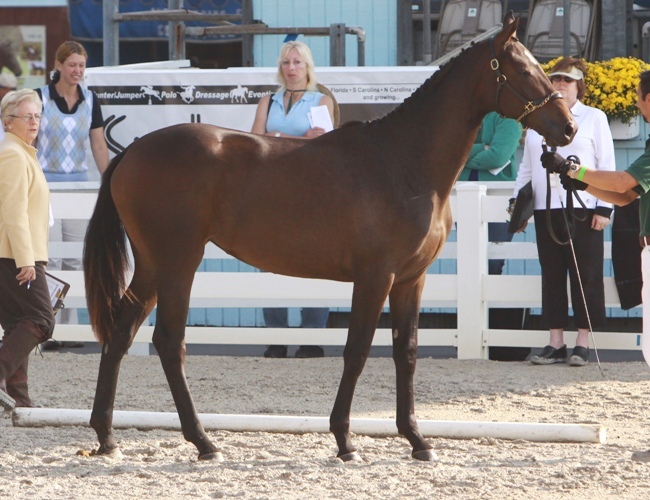 This filly knows how to “strike the pose”, and brought home two ribbons, both in extremely large and competitive classes: 6th place in the all-breed yearling fillies, and a 10th place in the Hanoverian 2 and under class. 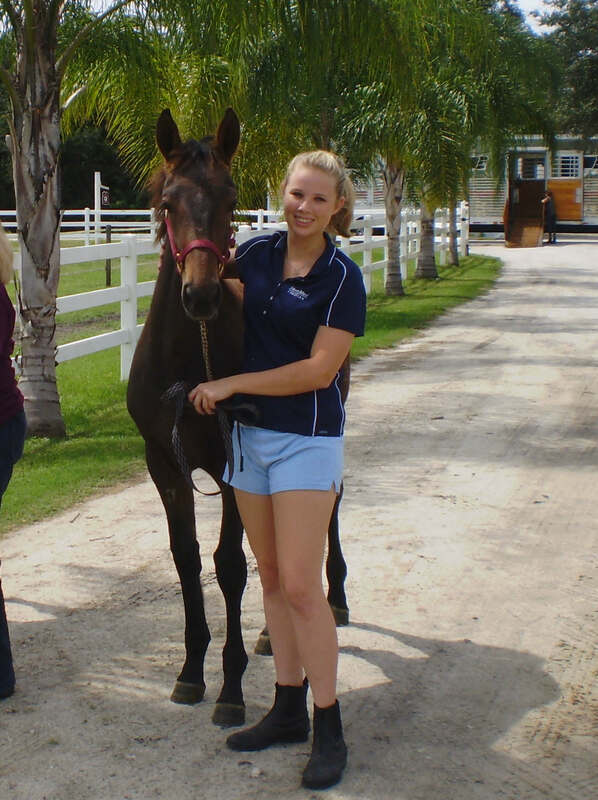 She is going to be an utter delight to show under saddle, and really seems to know when to turn it on.